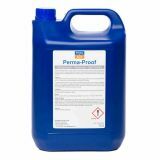 Highest strength damp proofing cream on the market. 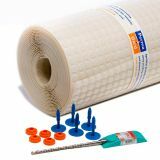 This kit provides all you need to create a permanent horizontal barrier against rising damp in masonry. 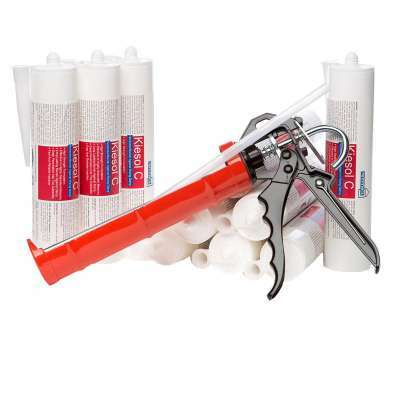 WTA Approved for use in highly saturated masonry. Kiesol C is the next generation Damp Proofing Cream, high strength, high performance, deep penetration, long lasting damp proofing for peace of mind for the home owner. Kiesol C is the highest strength damp proofing cream in the world with an active ingredient (silane) level of 80% which is more than any other damp proofing cream on the market. 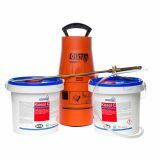 Kiesol C is injected into a 12mm hole drilled into the mortar joint approximately 75mm-150mm above ground level. The product is then left to revert to its liquid phase and penetrate the masonry surrounding the hole. As Kiesol C penetrates the substrate it carries the high level of active ingredients into the masonry and these silanes line the capillaries in the substrate to create a water repellent barrier. This water repellent barrier in the masonry is the new chemical damp proof course and will stop rising damp in the substrate permanently.